A Doctor cartoon character made in a black and white style, available for free download. This cartoon doctor is made of vector shapes, so if you are familiar with vector-based software, you can edit the shapes, and even change the black color to another one which will match your design better. 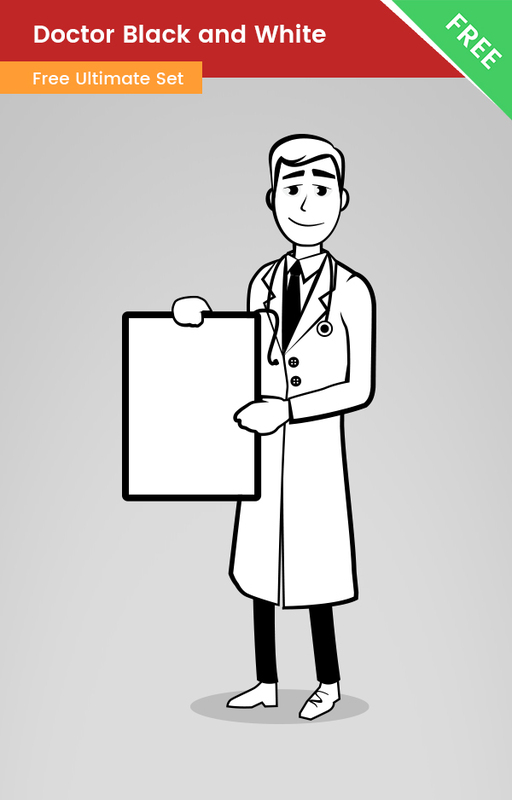 Our doctor character is holding a blank board, so you can put your text or logo with just a few clicks.